This collection seeks to celebrate the best of British ingredients and cooking from some of the greatest chefs this country has to offer. 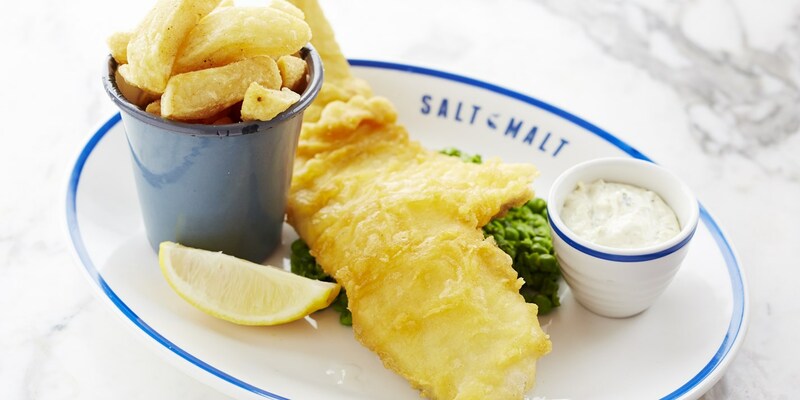 A lot of classic British dishes are unashamedly hearty - who minds our famously bad weather when you can tuck into Dominic Chapman’s Beef stew, or Josh Eggleton's wonderful Fish and chips to warm you up. If you are seeking ideas for a proper Sunday roast, have a look at Galton Blackiston's Yorkshire pudding recipe and Martin Wishart's Roast chicken with vegetables, sage and cider. No Sunday lunch is complete without a proper pudding, and this collection is full of fantastic British desserts. Shaun Rankin’s Treacle tart recipe offers a slice of nostalgia, while Galton Blackiston’s easy Sticky toffee pudding recipe is British stodge at its best. For a lighter dessert try Geoffrey Smeddle's Eton mess or James MacKenzie’s take on the classic Bakewell tart. British cuisine, much like our culture, is magpie like and takes on influences from a wealth of other cultures. There are some fantastic Anglo-Indian dishes in this collection, such as Josh Eggleton’s vibrant Piccalilli recipe and Alfred Prasad’s delicious Vegetarian kedgeree.